It is estimated that 28 percent of U.S. homeowners have plans to remodel, expand or otherwise improve their homes in the next 12 months. If you are a part of that group, there are a few questions you may need to ask yourself before you jump the gun. Are the improvements that you plan on making going to increase your home’s value? Also take into account whether these enhancements provide the best return on investment (ROI). Otherwise, you’ll end up paying more for improvements that did nothing to up your asking price and instead ate into your down payment. In the summertime, swimming is one of the greatest and most popular pastimes. 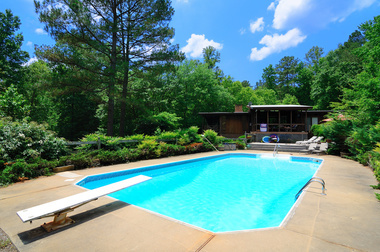 If you are looking for ways to increase your home’s equity, you may be surprised to find out that in terms of value added, a pool may not be the best direction. There is nothing better than sitting in your sunroom or outside on your deck and enjoying the weather. Sunrooms are great for hot sunny days; they shield you from the sun and allow you to enjoy it at the same time. Even though you may love it, it may add more value to the construction team than to your home’s resale value! Sunrooms can be pricey, potentially costing over $70,000, and they yield a return of less than 51 percent. For many, the bathroom is a place of relaxation and seclusion. It is not surprising that you want to enhance your favorite place in the house or add another one. This is not an easy project; it involves plumbing and electrical wiring in addition to the design and remodel. According to Realtor.com, bathroom improvements only yield around a 56 percent return. Unless you have only one bathroom and three or more bedrooms, you may want to reconsider this renovation. Backup generators can be useful when living in areas that are frequently affected by natural disasters and power outages. It is always a relief to have power when there is an outage. The need for a generator is largely based on where you live. If you do not experience winter outages or violent storms, a backup generator is rarely necessary and won’t bring a high ROI. Stick to minor renovations when preparing to list your home. Keep in mind your region and the preferences of homebuyers searching in your area. Each region will have its own needs and buyer appeal. Consider spending money on renovations that will appeal to those buyers or will improve your quality of living.